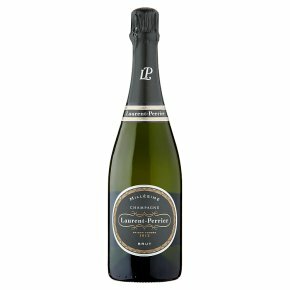 This exceptional Champagne maintains the signature style of Laurent-Perrier yet also reflects the unique characteristics of the vintage year. A fresh nose with notes of candied pineapple is followed by hints of plums. On the palate, it is well-balanced and rounded with persistent flavours of white peach with a fresh, complex finish. Wine of France.Laurent-Perrier has made the exacting choice to declare vintages only in the greatest years. A miracle of delicacy, this vintage Brut delights with its subtle balance of sparkle and fullness.